In our previous blog posts we have highlighted a few items - the aurifloss, the Accuquilt Go kits and dies, and the fabric bundle sale. AND (now until December 2nd) earn $5 for every $50 you spend in one order! You will get your gift certificate(s) in your order! 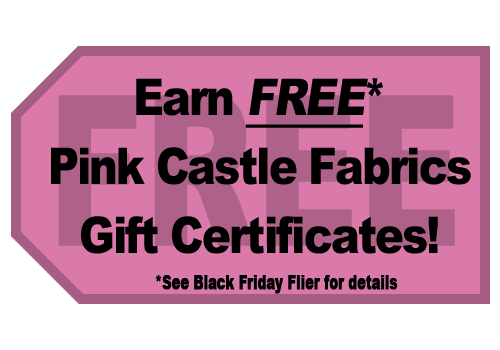 See the Black Friday flyer for details. But now it's the time to talk about Fabric Clubs! Whether you are looking for more stash builders, solids, Japanese prints or a little "quiltspiration", we've got you covered. Club membership can be purchased for any number of months, and is a great gift for any quilter, from those looking to grow their stashes, to beginners just starting out. 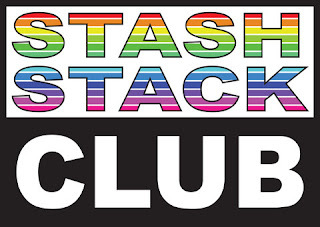 With your monthly subscription to the Stash Stack Club, you will receive a different color Stash Stack each month. Each Stash Stack's monthly color will arrive with a variety of tones (from lights to darks) in 6 or 12 modern stash builder prints. A stash builder is a fabric that has only one color or one color and white. All fabrics sent each month will be designer 100% quilting weight cotton. Doesn't it look amazing! Sign up today to start on your own collection! A half Stack will get your 6 prints each month, a full Stack will get you all 12! The Stash Stacks are available as Fat Quarters (18" x 22"), Half Yards (18" x 44"), and Yards (36" x 44"). You could also join our No Prints Allowed Club, a monthly club for solids! Your monthly subscription to the No Prints Allowed Club will get you 12 different designer solids from all the brands we carry! There are hundreds of amazing colors that would just love to sneak into your stash. Each month, you'll receive a full range of 12 solids in each color, and will circle around the entire color wheel in 12 months! We will label all of these colors with a sticker, so if you don't use it right away (or if you love it so much you need to order more) you will know which fabric is which. All you need to do is decide if you want to stash Fat Quarters (18" x 22") or Half Yards (18" x 44")! Aren't they fantastic! If you sign up now, you will receive December's solids next month! And now for something completely different: The Color Inspirations Club! We are very excited to introduce our newest monthly fabric club, Color Inspirations! Brenda is teaming up with RJR Fabrics to bring you a bundle of 10 super soft Cotton Supreme Solids each month! Every month Brenda will choose a coordinating bundle of ten solid fabrics based around an inspirational photo. None of the colors in each month will overlap during the year so by the end of the 12 month cycle you will have 120 different solids! You can chose to make something from the bundle you get, or break it up and add fabrics from your stash! Choose fat quarter (18" x 22") or half yard (18" x 44") cuts for your bundle! Doesn't it just look delicious! Sign up here to get started! The first bundle does not ship until January, but by purchasing now, you reserve your spot in the club. Last, and certainly the most adorable, the Kawaii Fabric Club! Are you crazy for Japanese fabrics? 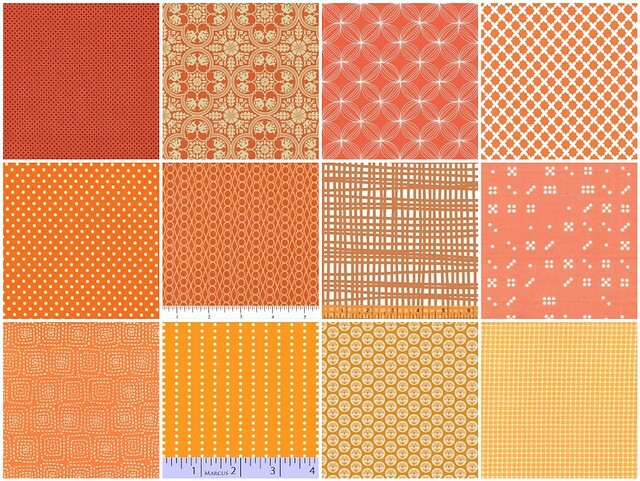 Do you scour the internet, constantly searching for cute prints to add to your stash? Don't you wish the cute, "Kawaii" prints would find you each month? Each month, 8 different super cute Japanese prints will be mailed to each of our club members. The materials of the prints may vary (like linen blend, cotton sheeting (quilting cotton) or oxford ), but they will all be Japanese "Kawaii" prints, of course! Because the first month of Kawaii Fabric Club won't be shipping until January, we don't yet have an example photo to share with you. But Google can show you some examples here. Prepare yourself for cuteness! The Kawaii Fabric Club is available as a Fat Eighth (9" x 22") or as a Fat Quarter (18" x 22"). We also offer Gift Certificates where you can purchase a month (or many months) of club membership for someone else. All this talk of Bundles is making me Bundle Hungry! Remember you can take 20% off all in stock bundles and precuts with coupon HOLIDAY20 until December 2nd!